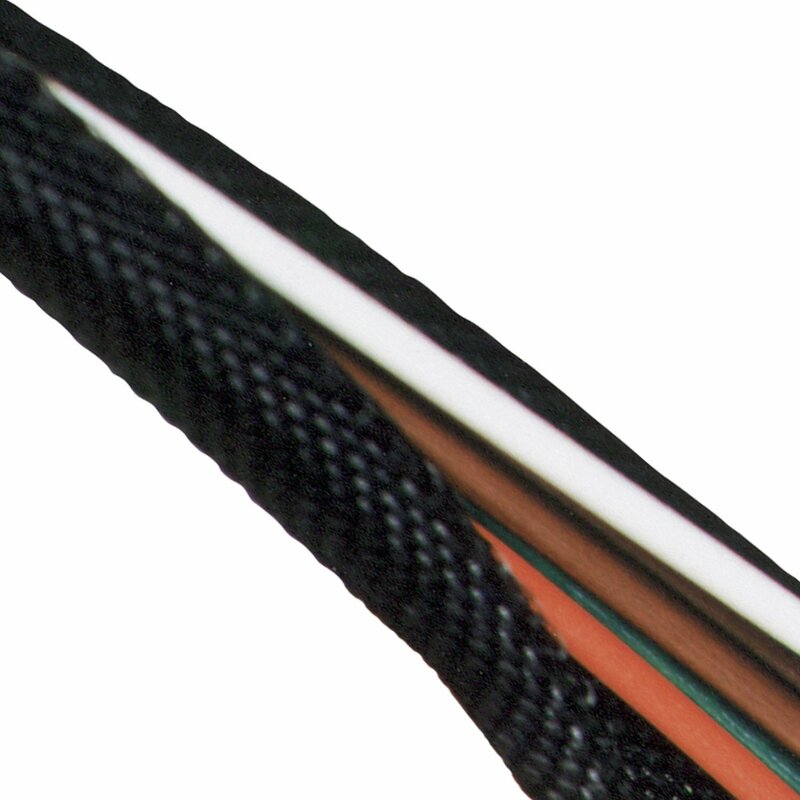 Wrap-It is a self-wraping, lightweight oversleeve used as an outer protection for wires, wiring harnesses and hoses. Use it to cover any area that is at risk to chafing, cutting and abrading. The self-wraping feature allows for quick and easy installation and removal for assembly and/or maintenance without the need for any special tools. To use, simply cut to length and wrap around wires. Wrap-It recoils to original shape instantly, wrapping itself tightly around wires or hoses while staying flexible. Manufactured from black woven polyester that is rated up tp 250°F.